The framework for the first homes in the initial phase at Maidenhill has been erected as homebuilders CALA Homes (West) and Taylor Wimpey West Scotland drive forward the brand new community in Newton Mearns. This milestone marks the completion of the initial works and access to Maidenhill, which has already allowed East Renfrewshire Council to continue to develop the brand new primary school located in the centre of the development. The first of the 834 new homes are now well under way and are expected to be released in the coming months. Each home within the first phase will also benefit local charity East Renfrewshire Good Causes with a donation being made by the consortium for each home sold. 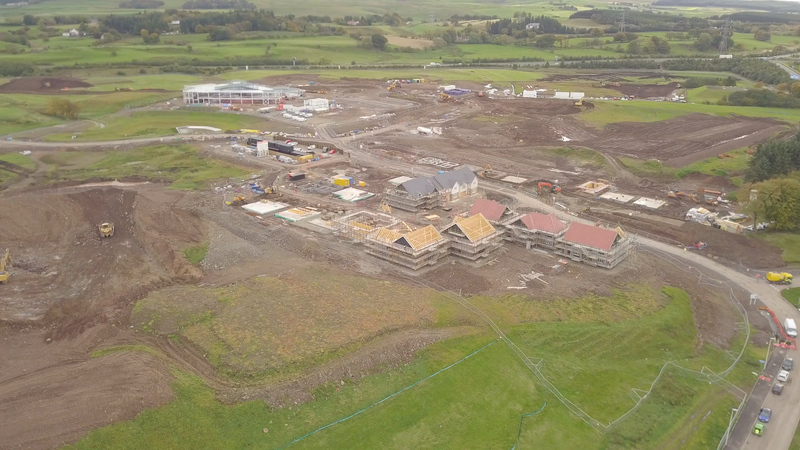 Production director of Taylor Wimpey West Scotland, Brian Henderson, added: “It’s great to see real movement at Maidenhill with work on the homes progressing well and it won’t be long now before the local community will start to see the fruits of our efforts. The first homes are expected to be released for sale by both CALA Homes (West) and Taylor Wimpey West Scotland before the end of the year.